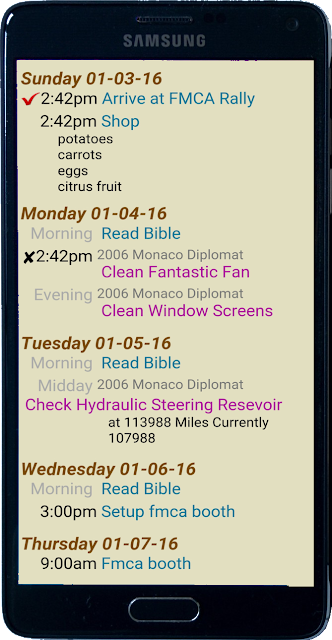 We just published our newest web site: TellMeDaily; Your Life Scheduler. TellMeDaily will hold all the events of your life. 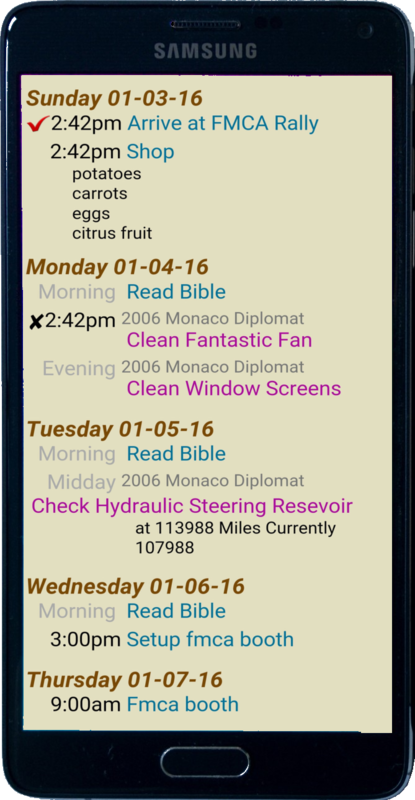 Tasks, Shopping Lists, Recurring Events and Scheduled Vehicle Services. It is so quick and simple to add events. You can enter them on any device: desktop, laptop, tablet or phone. And you will have access from any device with your UserName and Password. Get your membership today at TellMeDaily Note that active members of BigRigBible.com qualify for a free TellMe membership.